From the moment you reach out to us, we are here to help you. Not only do we offer the most comprehensive cancer treatments in Ponce and neighboring areas, but we also provide support and information for our patients and families, from facing a diagnosis to treatment options and life after treatment. Your cancer isn’t exactly like anyone else’s, and neither is your treatment. We want you to feel as prepared and informed as possible right from the start. Our doctors, nurses, and helpful staff each take a personal approach to treating our patients while offering a warm and caring atmosphere where each individual is treated with respect. We’re here to help you understand your cancer diagnosis and treatment options so you can feel confident in your care. Our top-notch, board-certified medical professionals have the knowledge and expertise to treat cancer from all stages and for patients of all ages. Our specialized care differentiates us from other cancer treatment centers in Puerto Rico and sets a high standard locally and abroad. At San Cristóbal Cancer Institute we work with the major health plans, including Reforma to offer you affordable, accessible and uninterrupted coverage to patients inside and outside of Puerto Rico. Patients can receive complete information and the most comprehensive cancer screening program through San Cristóbal Cancer Institute and its powerful health network. Not only can screening tests find cancer early when it’s more treatable, but it can also help prevent some cancers by finding and treating early abnormal changes in cells before they have a chance to turn into cancer. Although there isn’t a screening test for every cancer, there are a number of effective tests that people should begin to have at certain ages. There are good tests for cervical cancer, breast cancer, colon cancer, and lung cancer. “Cancer” may be the most frightening word in medicine. Life changes suddenly and profoundly after a cancer diagnosis. Initial shock gives way to a realization of the tremendous physical, emotional, and spiritual challenges that lie ahead. At San Cristóbal Cancer Institute, we understand that beyond the emotional turmoil that accompanies a cancer diagnosis, patients face a practical necessity: to develop a plan to live with and fight cancer. A cancer diagnosis is likely to feel overwhelming, but we’ve prepared a series of resources for education and support, and have a robust medical staff available to you on your journey. Cancer is not just one disease but a series of diseases. It can have a tremendous toll on the body and life-threatening effects, and the symptoms will range vastly between patients. These effects can be experienced before, during and after treatment, and this guide will help you navigate the effects if experienced by you or a loved one. Pain in your Body: Pain is not just a sensation that hurts. It is an unpleasant sensory and emotional experience associated with actual or possible tissue damage. People experience pain in different ways and even people with the same type of cancer can have different experiences. The way pain is felt is influenced by emotional, environmental and physical factors, which act directly or indirectly on the body’s nervous system (the brain, spinal cord, and nerves). The type of cancer, its stage, the treatment you receive, other health issues, your attitudes and beliefs about pain, and the significance of the pain to you will also affect the pain experience. Changes in thinking and memory: Some people diagnosed with cancer notice changes in the way they think and remember information. This is called cancer-related cognitive impairment, but people may also refer to it as “cancer fog” or “chemo brain”. Fatigue: Cancer fatigue means tiredness and lack of energy. Fatigue is the most common side effect of cancer and its treatment.Cancer fatigue is different from everyday tiredness. It can happen suddenly. Unlike everyday tiredness, it can happen even if you haven’t been doing exercise or had a long day. Resting does not always help. Infertility: Many factors can affect a person’s fertility. Fertility problems may be the result of either the woman or the man being unable to conceive or both. Cancer deeply affects the body in this sense and can bring a long chain of effects both for the patient and their family. Hair loss: Hair loss (also called alopecia) can be a side effect of cancer treatment, although not all cancer treatment causes hair loss. Treatments that affect the rapidly dividing cancer cells also affect other rapidly dividing cells, such as the hair follicles. Ask your doctor if the drugs you are receiving are likely to cause hair loss. Lymphoedema: Lymphoedema is swelling (edema) that occurs when lymph fluid builds up in the tissues under the skin. This happens because the lymphatic system is not working as it should in that part of the body. It usually occurs in an arm or leg, but can also affect other parts of the body. Lymphoedema can be either primary (having an underdeveloped lymphatic system) or secondary. This information is only about secondary lymphoedema following treatment for cancer. Mouth health: Some of the most common effects of cancer on a patient’s mouth include: soreness and ulcers in the mouth, dry mouth, tooth decay, mouth infections, bleeding gums, taste changes, and trouble swallowing and opening your mouth fully. Many things can cause these feelings. Changes in body image can affect self-esteem and confidence. Family and work roles may be altered. People might feel grief at these losses and changes. Physical symptoms such as pain, nausea, or extreme tiredness (fatigue) also seem more likely to cause emotional distress. People might also fear death, suffering, pain, or all the unknown things that lie ahead. Being able to talk with the cancer care team about concerns such as fears, pain, and other issues may help the patient feel more comfortable. Someone on the team can answer questions and talk about any concerns. They can also refer the patient to a mental health professional if needed. There are a variety of treatment options available to cancer patients, which will vary depending on each patient’s particular neds, cancer type, stage, goals and more. At San Cristóbal Cancer Institute, we work with some of the top minds on cancer treatment in Puerto Rico, to deliver the most comfortable, efficient and long-term results for cancer patients. Ou medical staff will listen closely to your physical and emotional needs, to develop a treatment plan that nurtures your body and spirit, adjusts to your financial circumstances and is the best fit for family and caregivers. Grupo San Cristóbal as at the forefront of the local healthcare industry and is committed to providing our patients with alternatives for payment. 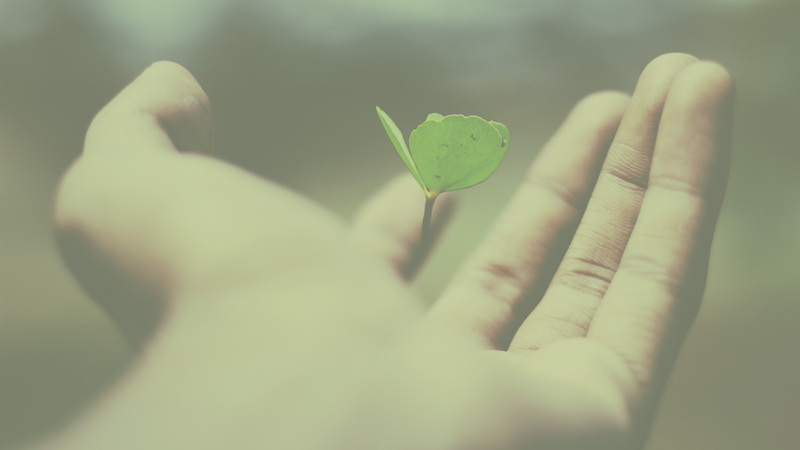 We accept Reforma patients and work with the major health plans, while offering coverage and support to qualifying patients through our strategic partnerships. Go to our Resources page to learn more. People with cancer, as well as their friends and family, can feel distress about these things at any time after a cancer diagnosis, even many years after the cancer is treated. As the cancer situation changes, they all must cope with new stressors as well as with the old, and their feelings often change, too. Family members and caregivers often suffer severe levels of anxiety and emotional stress, sometimes largely due to the fear of losing their loved one. They may also feel angry because someone they love has cancer, frustrated that they “can’t do enough,” or stressed because they have to take on more at home. No one should go through a fight against cancer alone. Your partner may be a spouse, family member or close friend. Pick someone you can talk to openly about serious issues and who will help you maintain a balanced perspective about your treatment, goals and feelings. Start a notebook or your own system to coordinate appointments, doctors’ phone numbers, and the information you collect along the way. Make it your personal responsibility to jot down your symptoms, frequency, and as detailed a journal as time and energy allows, to help your care team, as well as your family or caregiver to understand and navigate your progress. Take it with you to each medical appointment, and keep notes on your test results and treatment options. Start a running list of questions to ask your doctor on your next visit. Take steps to learn more about your cancer diagnosis and treatment options, at a pace that is comfortable for you. For some patients, lots of information can be comforting and empowering, while other can become overwhelmed and frustrated with too much information at once. 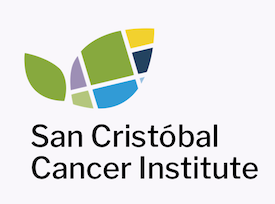 San Cristóbal Cancer Institute has excellent education resources in our Exploring Cancer Section, as well as a knowledgeable medical staff to help guide you. Additionally, be sure to consult only unbiased, trustworthy sources when you do your research.